Yesterday, we informed you that inbox by Gmail is shutting down on April 1 but according to the latest report that the date has just changed. Now the inbox by Gmail will shut down on April 2, not on April 1. 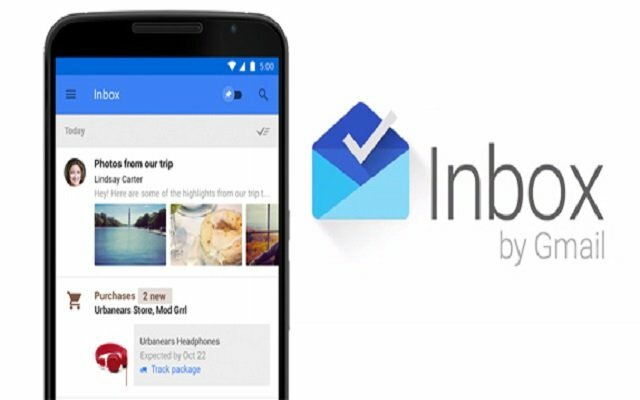 In 2014, Google rolled out inbox by Gmail. In this time period, the tech-giant has introduced different features for the users in the inbox. The inbox has also been redesigned inbox by Gmail with different features for the users in order to experience and enjoy different looks. However, a few months ago the company suddenly announced that it going to shut down the inbox by Gmail. Well, at the same time the company has made a promise to many people who were using it that they will get some extraordinary features. However, users are likely to still miss so many interesting features that they were using a lot. But the fact is that what’s the point of sticking onto the last version, as the core services of the app will sbest working on April 2. The purpose behind the launch of the app was to increase productivity, specifically for those users who are dealing with a lot of emails on a regular basis. It facilitated users in generating replies automatically, creating bundles, and much more. The unique features of Gmail inbox have been already transferred to Gmail in April. It seems that Google wants people to use Gmail.